We can help you to find talented, professional musicians who best suit your needs for weddings, special events, parties, receptions and more! Fill out our Hire Musicians form below to receive information on the best musicians for your needs. We represent many of the finest professional musicians in the Lowcountry and have been serving Southeast Georgia and Coastal South Carolina since 1937. The AFM represents the interests of musicians and performers. See our Benefits page to learn more about how we can negotiate strong contacts with good wages and a secure retirement. Members – Join our referral page now! 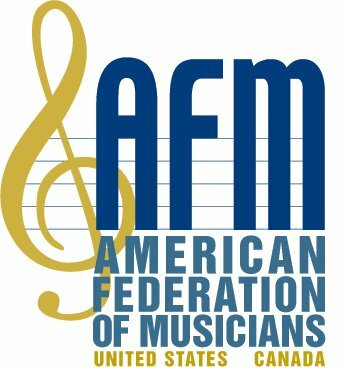 The American Federation Of Musicians is the largest organization in the world dedicated to representing the interests of professional musicians and has been promoting and protecting our performers for over 110 years. AFM members, who number over 90,000, perform all styles of music—alternative rock, classical, pop, gospel, jazz, country, folk, rock, big band, reggae, contemporary Christian, etc. With such active members as Bruce Springsteen, Roberta Flack, Santana, Yo-Yo Ma, Sheila E, Suzanne Vega, The Goo Goo Dolls, Willie Nelson, and Branford Marsalis, there is a strong representation of major recording individuals and groups. Provide excellent wages and working conditions for its members. The AFM Local 447-704 represents the best wedding musicians in Savannah, Charleston and Hilton Head, as well as top-flight club and event musicians in all genres – rock, country, jazz, or Big-Band.